Austria’s Carina Wasle will be back on island for next month’s 2016 XTERRA Saipan Championship. Wasle confirmed her participation to the March 12 event last Tuesday, saying she is in good shape and is hoping to take her second win in XTERRA’s Crown Jewel after ruling the off-road triathlon in 2014. “I feel pretty good at the moment. I escaped the Austrian winter and went to South Africa to prepare for the upcoming season. I already raced XTERRA South Africa and came second behind world champion Flora Duffy,” Wasle told Saipan Tribune. Wasle completed XTERRA South Africa in 2:56:06 behind the 2:39:08 of Duffy with split times of 24:29, 1:32:33, and 55:00. XTERRA Saipan veteran Bradley Weiss of South Africa was the top overall finisher of the race, posting 2:30:42. She is back in Austria and will continue to train in time for next month’s XTERRA Saipan. “I love Saipan. 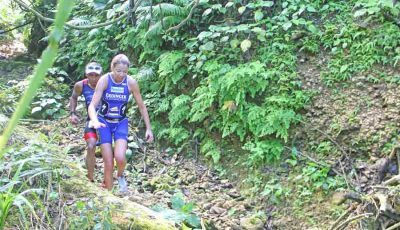 I hope everything works out on this challenging course, ” said Wasle, who had her share of misfortunes in the treacherous XTERRA Saipan course. The most memorable one was her freak bike crash in 2012 that almost prevented her from finishing the race. The wounded XTERRA warrior picked herself up and managed to finish third behind Renata Bucher and Jacqui Slack. “I love the course and yes my goal is to win it. But for sure I’ll run with a big smile through the finish. 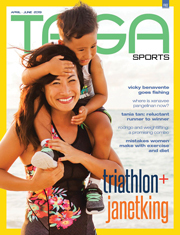 I can’t wait to be back,” added Wasle, who will be in her sixth XTERRA Saipan stint. This year, the Austrian will face Bucher anew, along with former Saipan pro Mieko Carey and Australia’s Belinda Hadden. The four pros placed behind Slack last year with Wasle coming in at second and Carey, Bucher, and Hadden ranked third, fourth, and sixth. United Kingdom’s Daz Parker finished fifth and will not be able to return this year along with Slack and men’s four-time champion Ben Allen of Australia. Meanwhile, without Allen, the men’s division crown will be an open race. Three pros have so far registered for next month’s XTERRA with long-time participant Takahiro Ogasawara of Japan leading the list. He will be up against fellow returnees Kaon Cho of Korea and the Philippines’ Joseph Miller. As of yesterday, 44 have signed up for XTERRA Saipan, while Tagaman Triathlon, which is set for March 5, has lured more than 100 participants. XTERRA and Tagaman are part of the Saipan Sportsfest. 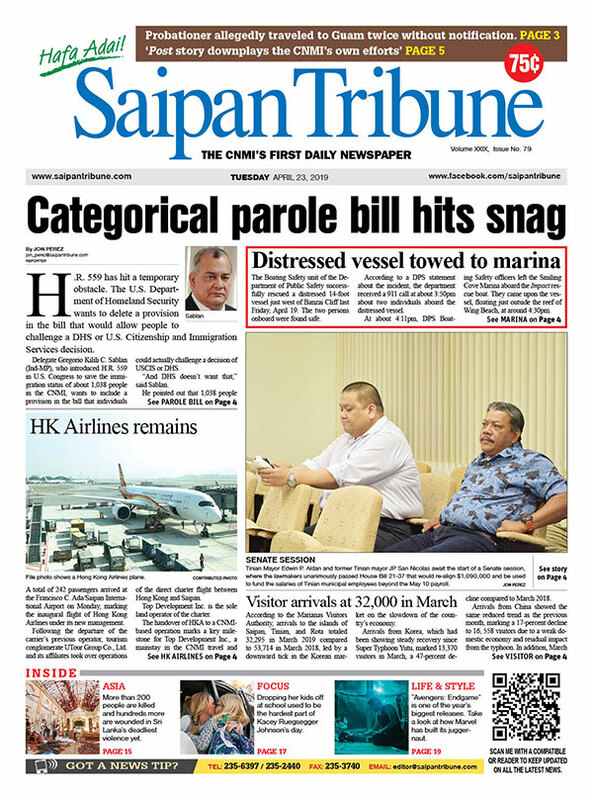 Meanwhile, Triple J Saipan has joined the roster of sponsors of the Saipan Sportsfest, according to a press release sent to Saipan Tribune by race director Eric Tydingco.